Do you have what it takes to join the heroine of heroines on an epic adventure? 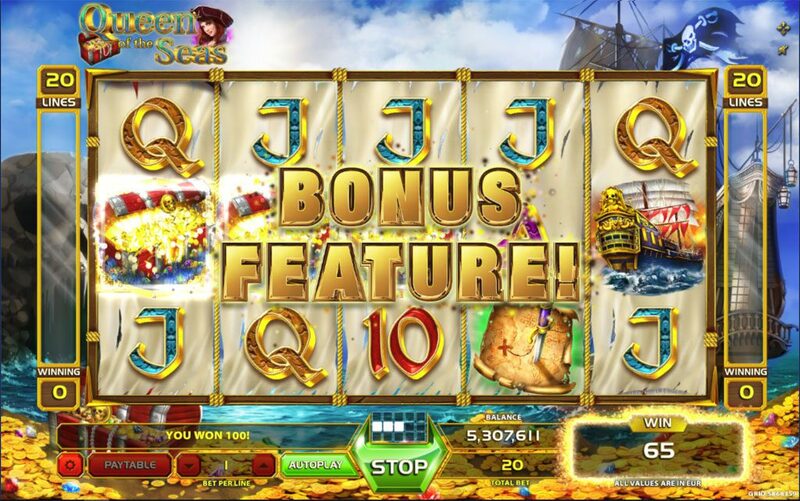 The queen of the seas bids you welcome to this 5 reel – 20 payline treasure hunt. AYE! 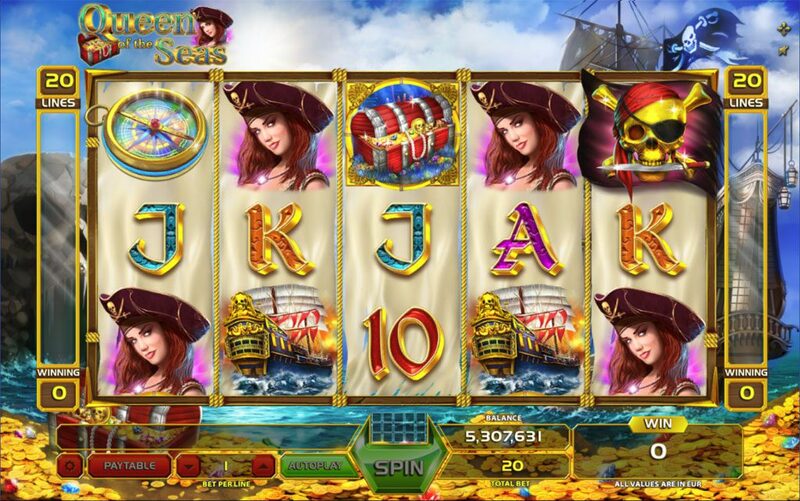 Plunder the seas swashbuckler! Remember to look for the booty as all pirates do! 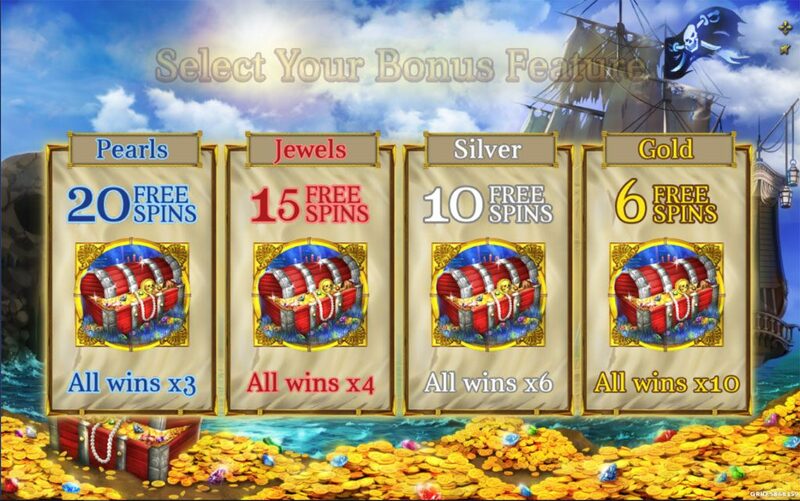 You may get 3, 4 or 5 Treasure chests on your adventures! 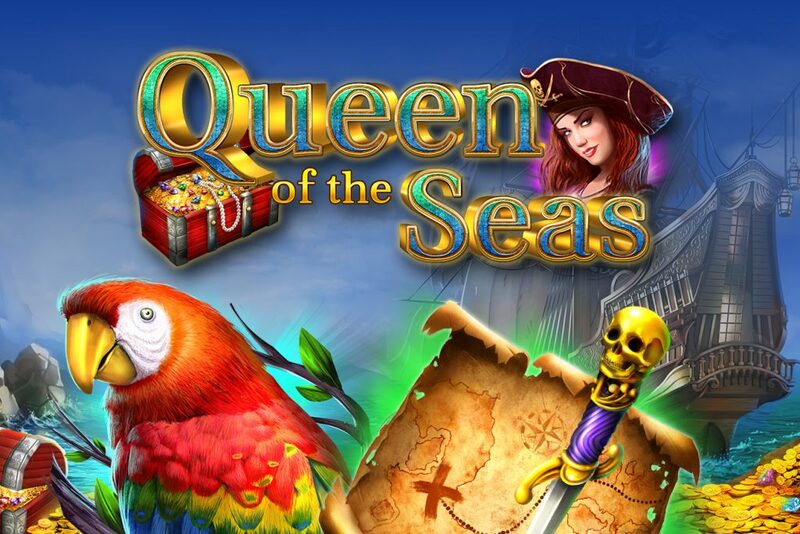 As you enter the Bonus Feature choose your chest awarding 20 , 15, 10 or 6 Freespins on a scalable multiplier.<br><br> Follow your compass as wins pay west (left) to east (right), follow your instinct in this game full of sins, 2 – 3 skulls (wild) on a payline, will double your wins, sail turbulent seas, on furious winds!<br> YAR!